ISLAMABAD, Oct 12 (APP):Prime Minister Shahid Khaqan Abbasi on Thursday reiterating his commitment for the merger of FATA (Federally Administered Tribal Areas) said work was being done on fast-track basis to take required legal and administrative measures for this purpose. 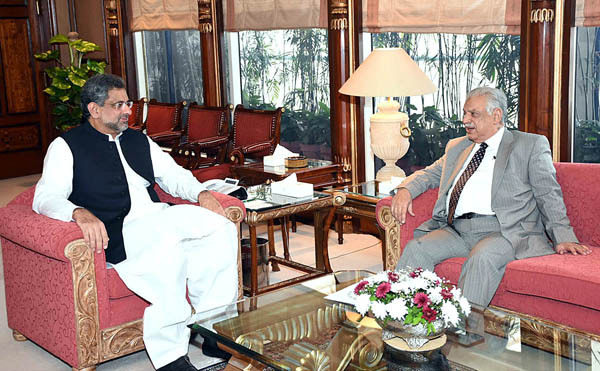 In a meeting with Governor Khyber Pakhtunkhwa (KPK) Iqbal Zafar Jhagra here at the PM Office, the Prime Minister discussed the steps being taken for the mainstreaming of FATA. Development projects in the province also came under discussion.